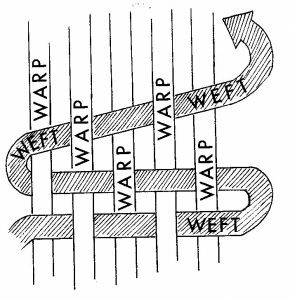 Sarah Gibson’s newest composition, warp & weft, has many interweaving parts both in its artistry and its inception. 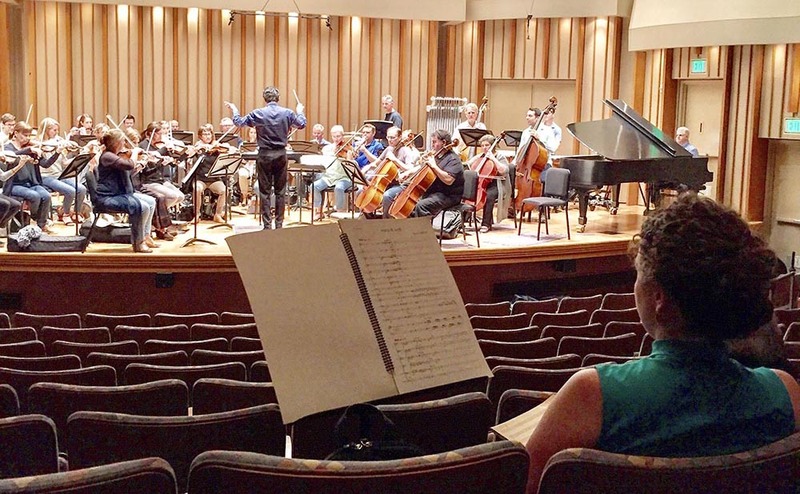 The composer, an alumna and faculty member at USC Thornton, developed the work during her year as Los Angeles Chamber Orchestra (LACO)’s 2018-19 Sound Investment Composer. Through a series of curated salons and rehearsals, she wrote the composition with the input of LACO musicians and select donors who contributed to the commission. LACO has engaged in this unique practice of concert crowdfunding since 2001. The Sound Investment donors are music lovers who get excited by the development of new work. In addition to being buoyed by their unending enthusiasm, Gibson said the interaction with the donors helped keep her accountable. The new composition received a reading with LACO as well as a series of salons, one of which functioned as a workshop allowing Gibson to experiment with portions of the score and hear them played by the orchestra, a rarity for most commissions. Gibson enjoyed these workshops, as they enabled her to team up with others. Gibson’s composition is named for two basic components used in weaving to create fabric. Gibson’s composition was the result of a weaving of musical ideas and opinions as well as the very craft itself. The daughter of a self-taught painter, Gibson grew up visiting art museums and continues to use them as sources of information. Her connection to feminist artist Miriam Schapiro and the technique of “femmage”— bringing crafts stereotypically associated with women into other art forms — resonated with the composer. LACO Executive Director Scott Harrison lauds Gibson as both an exciting artist and an outstanding fit given the program’s mission. Harrison recalls a salon during which one of the donors asked Gibson about the difference of listening to a computer program playing back digital files vs. hearing the piece performed by an orchestra. When Gibson referenced the advantage of a score’s “human element” which gives musicians chances to pause and breathe, the attendees experienced a collective “aha” moment, according to Harrison. Gibson watches LACO musicians during a reading of her new composition. This innovative initiative has long ties to USC Thornton. Jeffrey Kahane, professor of Keyboard Studies at USC Thornton and LACO’s longtime music director and conductor before stepping down in 2016, launched the program while celebrated composer Andrew Norman, a Thornton alumnus and faculty member, is LACO’s creative advisor and composer-in-residence. Norman also plays a key role in helping to identify Sound Investment candidates. The creative alliance between Thornton and LACO’s Sound Investment program will continue when Juan Pablo Contreras, a DMA candidate at USC Thornton, takes his turn as the Sound Investment composer for 2019-2020. Los Angeles Chamber Orchestra will premiere Gibson’s new work this weekend: Jan. 26 at the Alex Theatre, and Jan. 27 at Royce Hall. For more information, go to LACO’s website.